Current SA Health Initiative - Emergency Departments are here to deal with emergencies, but for minor illness or injury, there are a range of other care options to consider. When suffering from an non-life threatening injury or illness, where should I go? How do we ensure true emergencies continue to utilise Hospital ED departments, while encouraging non-emergencies to use appropriate services such as GP Clinics and Pharmacies? Used to identify community services, their location and contact details. Number of Beds and whether or not they provide an ED department. Used to identify health care facilities in HealthBuddy. Used in the HealthBuddy Dashboard to present details on ED performance and community use of ED. Used in HealthBuddy to inform the community of ED performance compared to targets at each facility. Used to identify services, their location, hours of operation and contact details. Used to identify bus routes and timetables. Used to enrich details relating to healthcare facilities including; opening hours, location, service types. Used to determine travel time to locations including current traffic conditions. Used to get live details on community sentiment towards a facility. Used to enrich details relating to healthcare facilities including location details (Geospatial) and number of beds. Used to provide details about current waiting times, capacity and inbound ambulances. Used to provide details about common conditions as listed by SA Health which are treated by a GP or Pharmacy. Used to provide a cover page reminding the user that if something life threatening is happened Don't use the app, just call 000. Health Buddy presents a simple and easy to use interface to guide the user through the process of selecting a health care facility. There are a number of existing services online to help support this decision making process. This includes Government check lists for selecting facility types, directories of facilities, dashboards for hospital wait times, and more. Health Buddy consolidates the information from these sources into a single application. By providing all of this information in a single location Health Buddy creates a quick 4 step process after which completes with directions on how to get to your selected health care facility. The Health Buddy Dashboard consolidates a number of distinct data sets to identify trends in ED health care over time. This can be used to help inform short term and long term policy decisions by showing the impact of various policies as measured against their intended outcomes. 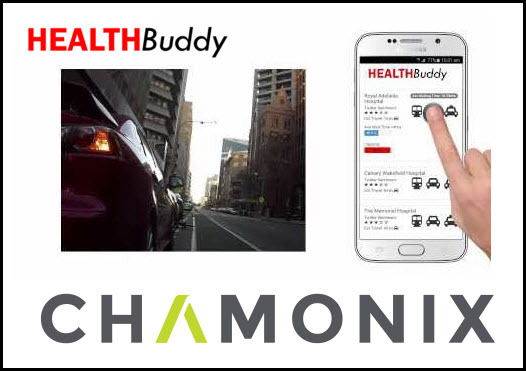 By combining Health and Transport data Health Buddy helps the community select a location for their healthcare needs and provide guidance on how to reach that location. Overloading of Emergency Departments is a national health care issue which Health Buddy is looking to address for the health care consumer and policy maker. Current statistics show more than half of the ED presentations don't result in admissions. While many of these presentations are still valid ED presentations, a large portion of them could have received the required treatment at a GP Clinic or Pharmacy. Providing live data to consumers and decision makers in hospitals will enable quick decisions when selecting where to go and staff required in the event of a natural disaster requiring an elevated level of an emergency response. Community - Assisting the community in making decisions about how and where to seek treatment for health related issues. Government - Providing live data to support short term capacity planning and long term analysis to provide insights into the impact of policy decisions. Health Buddy helps people connect with services. Depending on treatment required (ED, GP, Pharmacy, Community Services) Health Buddy informs the user of facilities near their location, travel options and time to get there, social media sentiment on the facility, and directions on how to travel to the facility. Health Buddy consolidates a number of distinct data sources to provide a single place for the community to make decisions about where to go to seek treatment for health related issues. Health Buddy uses an open source Twitter Sentiment API to read in live Tweets related to health care facilities and determine if these tweets impart positive or negative sentiment. AngularJS is an open source web application framework for quickly building expressive, readable dynamic web applications. .NET package to easily serialise and deserialise JSON formatted data for concise communications between web application client and API. .NET package to easily interact with Google Maps APIs without worrying about API specific details. Providing the community a single place to review details of health care options Health Buddy is a valuable tool for the public and their health care needs. Utilising the ACNC registered charities data set Health Buddy helps connect the community with nearby support services.